Toyota Matrix “Shift Reality” was a spot just recently completed in under 1 month for both cinema and television broadcast. 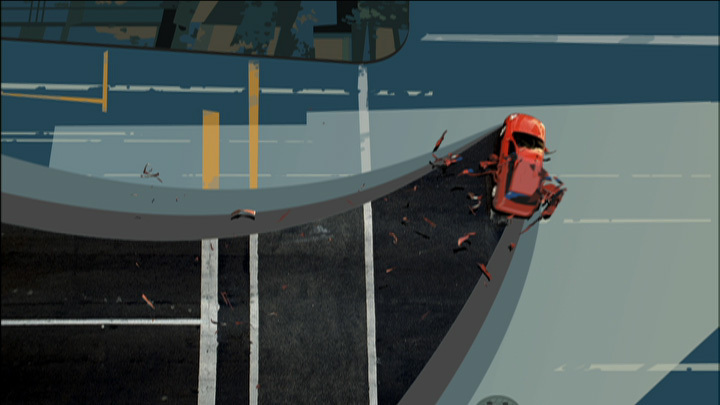 The concept was to show an animated commercial in which Toyota’s new car accelerates to such high speeds that the air resistance ‘peels’ off the animation thus revealing the live-action vehicle underneath. We then follow with several beauty shots of the car driving throughout different environments until it reaches a stop by pulling a dramatic skid into a parking lot. The driver gets out, and the animation catches back up to the car wrapping itself around both the car and its environment. This effect proved to be quite complicated but was nevertheless successfully accomplished with the fantastic free plugin ‘Simcloth’ from the generous guys at Chaos Group. The car was first modeled in 3D based on stock photographs, then cut into pre-determined pieces which would later be pulled off by Simcloth. The model was then carefully tracked to the live-action footage and set up with the appropriate dynamic variables to match the live-action movement. Since Simcloth works as a simulation rather than a keyed effect, these variables primarily consisted of forces such as gravity, wind/location, air blasts/bombs, etc. which could be animated if desired. 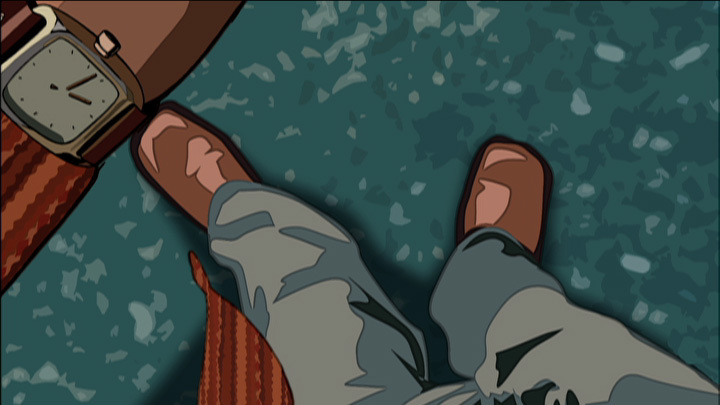 Once the effect was created, each scene was rendered into individual layers for maximum control and composited together with the painted backgrounds. The output was rendered at 2k and dumped back on 35 mm film. This spot was modeled, animated, and rendered with 3dsmax 4.2. It was composited using Combustion as well as After Effects. Vectorizing was done with Flash, digital ink, and paint with US Animation, and concept design as well as background design with Photoshop. Directed by Andy Knight, Richard Rosenman, and Brad Husband. Modeled and simulated by Mike Oliver. 3D lighting and rendering by Richard Rosenman.